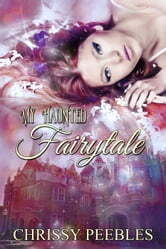 This is book 2 of the Enchanted Castle Series. Zoey Sanders is thrilled to spend her senior year of high school in a medieval, gothic castle located in Scotland. When she meets her Prince Charming, everything seems to be clicking into place. She dreams about having the perfect fairytale. But suddenly, things take a drastic turn. Zoey becomes increasingly disturbed as paranormal activity picks up. She is forced to confront her greatest fear...the castle is haunted. This 2nd book is just as good as the 1st can't wait to read the next one. Loved it. Kept me wanting to read more....i ended up sooo tired because I couldn't put it down. Going straight onto the next one now!